Pregnancy is well-known as a time for strong food cravings and wacky combinations. It’s tempting to justify overindulging by saying you’re eating for two, or that “The baby wants it!” But eating healthy is your best route to gain the right amount of weight for you, and give your developing baby the nutrients he or she needs. Find your craving on this list to satisfy it with a better-for-you swap. Greasy, salty treats are common pregnancy cravings. One thing that helps when a craving hits is considering what aspect of the treat you want most. Craving a salty snack? A pickle spear or a few olives have a salty kick without a lot of calories and fat. If you’re looking for a satisfying crunch, dip baby carrots, sliced cucumber, and bell peppers into 2 tablespoons of hummus or salsa. You can also satisfy a craving by looking for a smarter preparation of your favorite treat. That could mean opting for baked chips instead of regular ones, or trying a veggie chip. Sweet potato fries, especially if you bake them at home, can be a more nutritious choice than hitting your nearest drive-through. Giving up alcohol is a no-brainer to avoid fetal alcohol syndrome. Giving up soda is a smart choice, too, to limit both sugar and jittery caffeine (which some pregnant women choose to avoid outright). If you’re used to unwinding with your favorite beverage, it’s understandable that you might miss it. Instead of soda, try flavored seltzer water. Tea or a virgin cocktail might work if you’re looking for something to sip on the couch in the evenings instead of wine. I’ll confess I plowed through a few more pints of Toffee Crunch than I should have when I was pregnant. Creamy, sweet, and cold, ice cream is especially hard to resist in warmer months. If the main thing you’re after is something sweet and cold to munch, try fruit. A heaping bowl of watermelon could become your new go-to. Some health food enthusiasts also swear by frozen bananas. Once blended (perhaps with a tablespoon of cocoa powder), their texture is a lot like soft serve ice cream. Missing the creamy factor? Try low-fat Greek yogurt with a drizzle of honey and a handful of berries. Adding a quarter of an avocado to a homemade smoothie can also add healthy fats and a creamy texture. The bad news is most delivery pies are loaded with salt and fat. The good news is pizza can be a great vehicle for a healthy meal. Build your own pizza at home to control portion size and add nutritious ingredients. Start with a whole wheat base, like whole wheat dough from your supermarket, or even naan or English muffins. Add marinara and a sprinkle of cheese. Top with veggies and lean protein (like shredded rotisserie chicken breast) for the best nutrient punch. If not cooking is the whole point, ask your takeout spot for a thin, whole-wheat crust and a light hand with cheese to get a healthier order. Wait, what? Cravings for non-food items are more common during pregnancy than you might think. 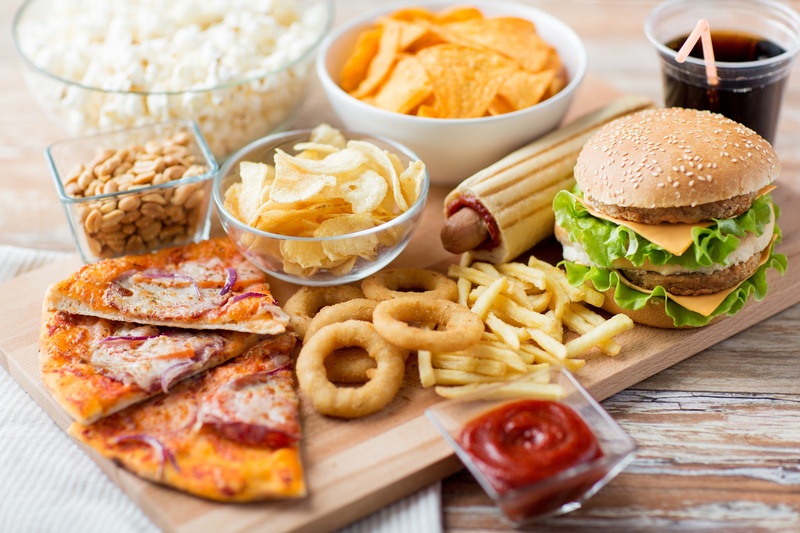 This phenomenon is called pica; some people speculate non-food cravings are your body’s way of looking for a missing nutrient outside your diet. Talk to your doctor if you find yourself craving something other than food. Chew some gum in the meantime if you need relief from a craving. Your doctor can help you review your diet for any missing nutrients and make any adjustments you need to keep your appetite focused on food. Is Your Prenatal Vitamin Giving You Enough Vitamin D?